Just yesterday we here at GuideToVaping released a news story claiming that China has implemented e-cig regulations, which resulted in the Chinese government banning the export and manufacturing of e-cigarette products. We also told you that during this ban, custom officers seized over 500,000 vape products that totalled rough $100 million. As I’m sure you already know, it wasn’t true and it was merely an April Fools prank. Now, I know some of you might think such information would be classified as extreme being in the current state the electronic cigarette industry is under. By no means would we here at GuideToVaping ever string you along with false information if we can help it. However, in this case, we made an exception due to the intentions of this prank. This April Fools prank was not so-much of a prank, but instead an awareness campaign organized by Atom Vapes. This campaign was also coordinated with a few publications as well, such as GuideToVaping, Spinfuel and other sources. Here’s a part of the press release that Atom Vapes has just released today regarding the matter. This was an eye opening exercise, we wanted everyone for just 1 second, or 1 minute to feel what happens if one day the vaping industry goes up in smoke. If you take a look at the articles we posted and replace the names of the Chinese government representatives with our own government representatives, the picture starts to make a lot more sense. We have just demonstrated the kind of reaction that would occur if the regulations currently in place were to ban 90% of the products on the market. Or simply make it so that only big tobacco owns the rights to e-cigarette patents and uses them to keep disposables on the shelves of big chain stores instead of bigger hardware devices in Vape shops. This sounds far-fetched but believe me, there is a lot at stake, regulations hit the entire EU in May and the US soon, so everyone of us needs to get involved. I have included some links below to advocacy groups that are fighting on our behalf right now. If you have any other questions or concerns on how you can get involved please email me directly. There was a lot that went into this campaign created by Atom Vapes. They not only had to take time out of their busy schedule to make sure various publications were on board and the campaign would work as intended, but they also had to stage the different pictures that went into the news story. Trust me, there was a lot that went into it behind the scenes. I truly didn’t want to lead you on with false news or pranks, as I’ve never participated in such publications before on GuideToVaping. However, sometimes it takes something like this and you actually seeing it with your own eyes to help you understand what could potentially happen to the vaping industry if we all don’t start fighting for our right to vape and supporting those that have always done so. This successful alternative to tobacco could quickly come to a sudden stop, and it’s up to us to ensure that it remains available for ourselves and others. 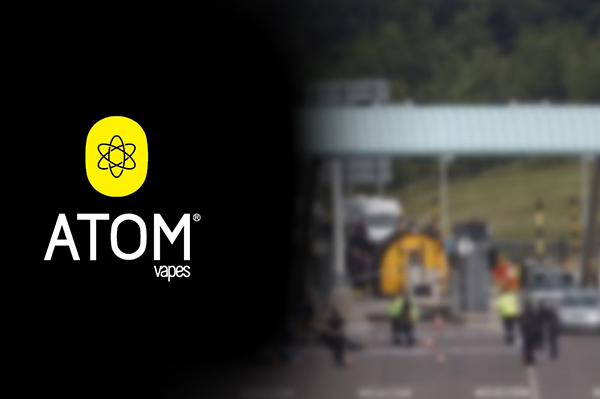 To Atom Vapes, thank you for this eye-opening awareness campaign, we here at GuideToVaping are glad that we could be apart of it. Ya, another sucker here, you got me ! Yes, I bought vape gear that I did not need at this time. Yes, I used money I really did not need to spend on vape gear at this time ! Ha, ha, funny isn’t it ! Well you know what, as soon as this vape gear is used up I am done with vaping. You pulled a prank that took money out of people’s pockets to line pockets of others, reminds me of something big tobacco would do. I am done with all forms of vaping and support ! I’m pretty sure you’re just looking for something to complain about, and I’m also pretty sure that you didn’t go spend your life savings, as you know there are hundreds of thousands of stores and shops that stock a good amount of product – not to mention the amount of vaping distribution companies that exist. If you can’t see this prank or “awareness campaign” for what it really is, then I’m not sure what to tell you. If you think this is something big tobacco would do, then you don’t know much about big tobacco companies. You’re basically saying Atom Vapes did this to make other companies money? That makes no sense. If they were doing this for the money, they would have promoted an incentive for you to purchase their specific products.